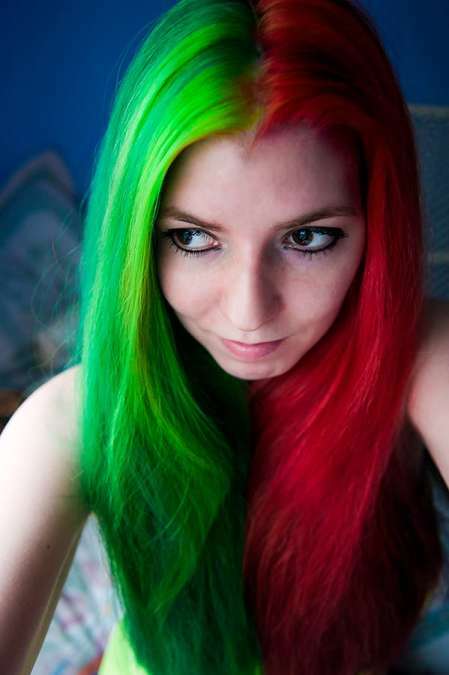 H >Blog >Expert Blog >Deck the Hair With Lots of Color fa la la la la…. 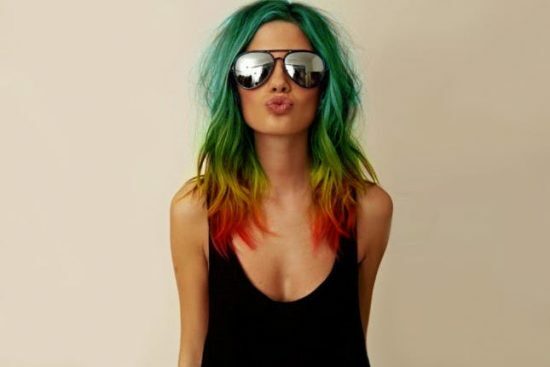 Deck the Hair With Lots of Color fa la la la la…. With Christmas quickly approaching, chances are you have a hair appointment scheduled with your stylist. 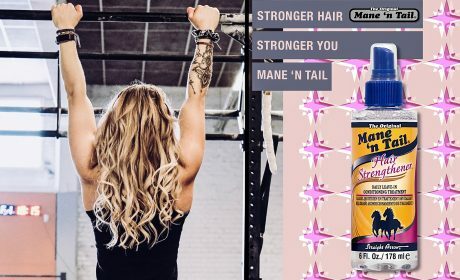 Whether you’re getting a color touch up or just a trim, there might be others of us out there who are just needing a bit of inspiration before sitting in that salon chair. 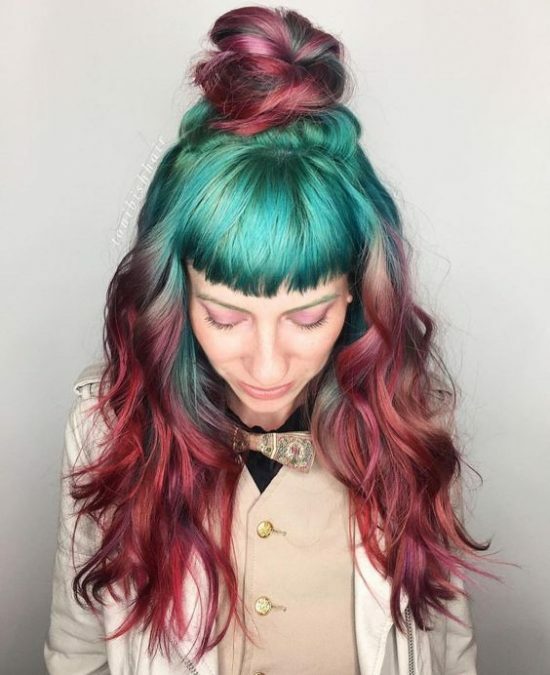 Here are some fun looks that have taken those vibrant holiday colors and put them into their hair, transforming themselves into the ultimate Christmas decoration. 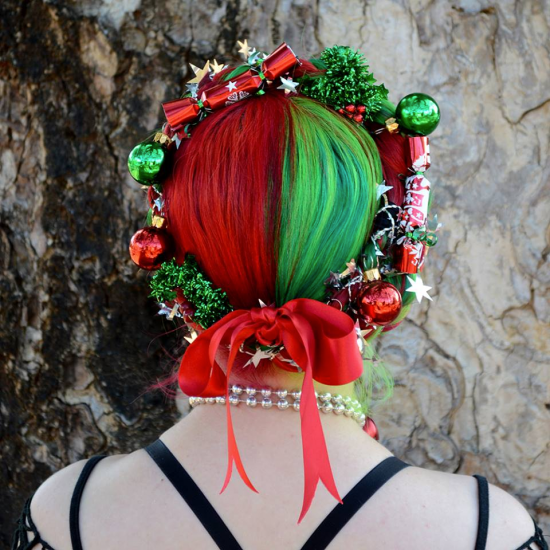 This gorgeous green and red ‘do is highlighted by a beautiful, festive wreath and tied together with a magical red bow. We love it. 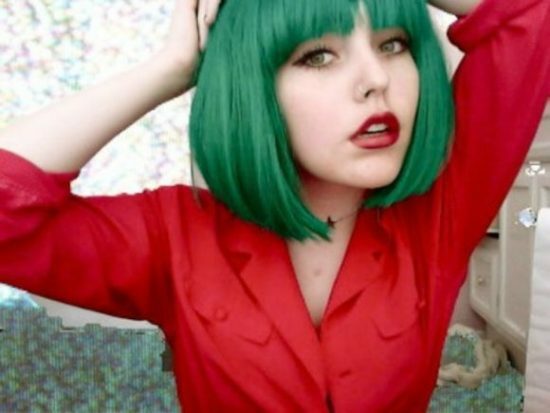 Christmas hair doesn’t have to be styled to look amazing, this red and green with just a simple part down the middle, shows off those festive colors. This look is peppermint fresh with some red and white swirls to emulate some candy cane cuteness. Those yummy little treats hanging on the tree aren’t just for dessert, anymore. If you aren’t going for the whole red and green look, but still want to have a festive vibe, just pair that singular color with some clothes that will automatically give you a look that lets everyone know you’re ready to belt out some Christmas carols. 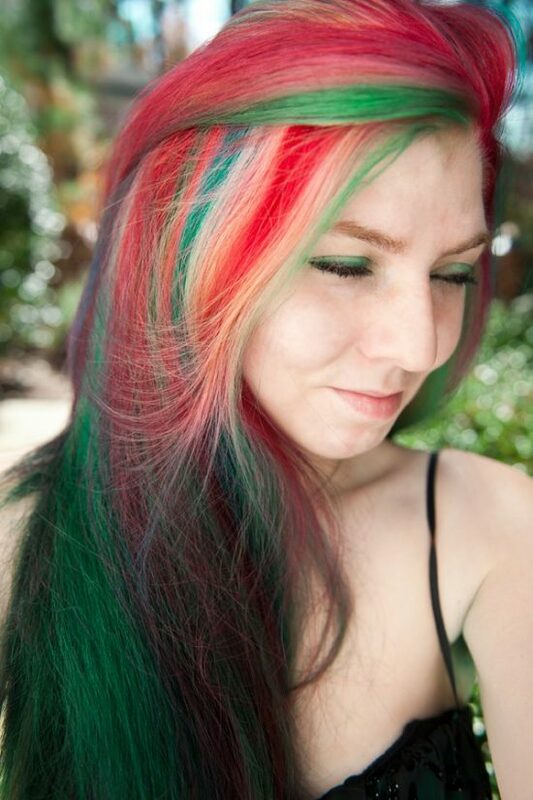 Ombre is fabulous this time of year with some red tips and green roots to show your love of the holiday colors. 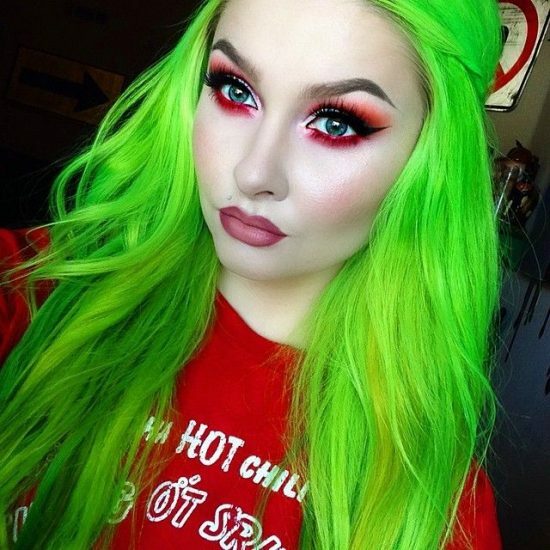 The lime green might be Grinch inspired, but there is nothing grumpy or naughty about it. This neon awesomeness makes us want to rock around the Christmas tree! These nature colors seem to be taken right from the forest itself. The deepness of a forest green, paired with the intense reds of a fall day, turn this hair into a Christmas wonderland. 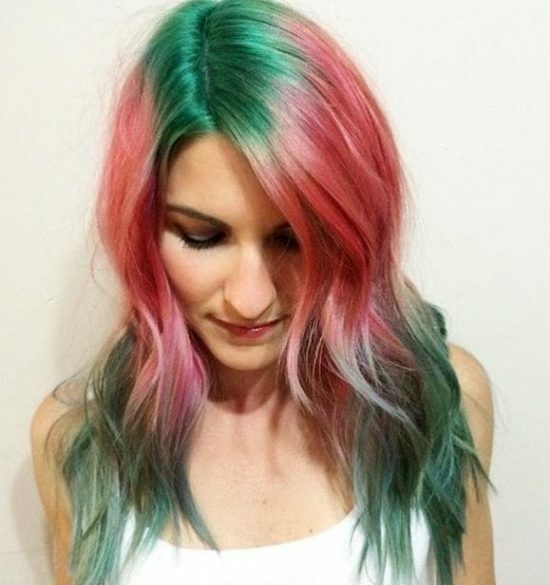 If a mermaid wanted to celebrate Christmas, this is what her hair would look like. From the deep sea green to the coral pink, we can only imagine how beautiful her Christmas tree would be decorated with all sorts of undersea life and a starfish on top. Christmas highlights might just be best look of the year. 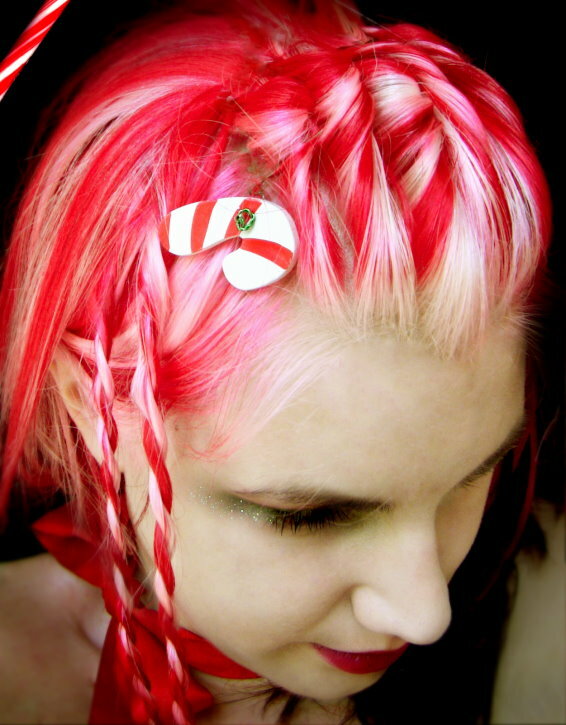 Mrs. Claus’s hair may have looked just like this when she went through her rebellious teenage years. 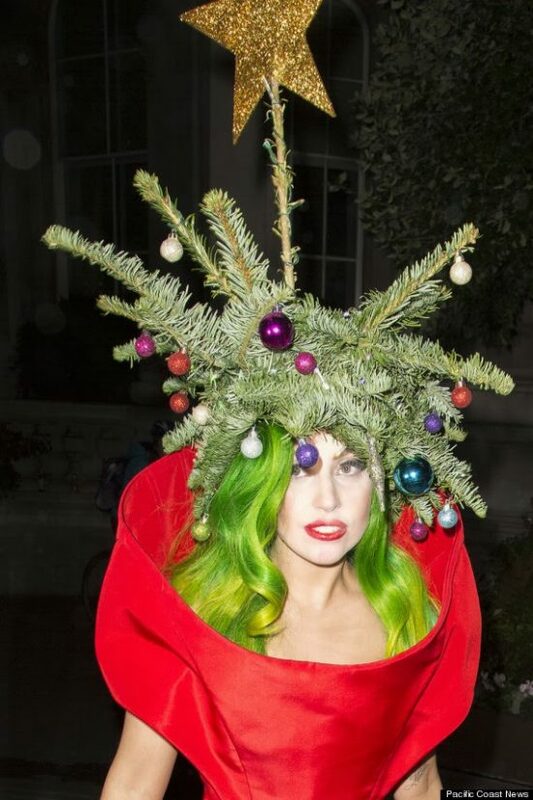 Lastly, the queen herself, Lady Gaga, looks fabulous with her neon green locks topped with parts of an actual Christmas tree. When you trim your tree, now you know exactly what to do with the leftover branches. Do you have fun Christmas-inspired hair? 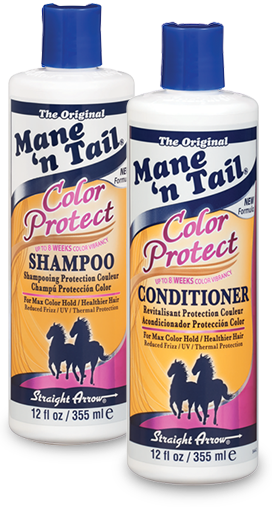 Please share on our Mane ‘n Tail Facebook page and we might share your post to our followers! Keep your Christmas hair color looking fresh with our new and improved Color Protect Shampoo and Color Protect Conditioner formulas. 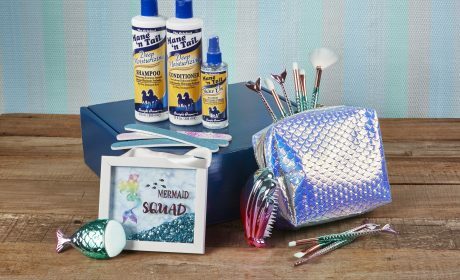 << Beauty Gift Guide for Her (and You)!